Successfully Added Quality Beginners Digital Camera - 5.0M Pixel CMOS Sensor to your Shopping Cart. High quality, yet extremely easy to use Digital Camera with a 5 Mega Pixel CMOS Sensor for taking some great photos. Anyone using this nice looking Digital Camera will appreciate not only its ease of use, but how nice all their photos will turn out. Right out of the box there is 16MB of internal memory which can be expanded up to 1 more GB with a flash disk, three settings for picture quality and 2 for digital movie quality, x4 digital zoom, and even pictbridge compatibility for printing directly from the camera to a printer. 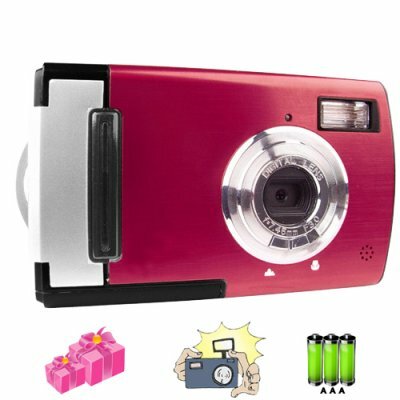 A great choice for any person looking for their first digital camera, at a low price but with some excellent features. on 2009-07-17 21:58:28 Great camera for beginners. Great little camera, everthing as expected. The service is the best you can get. Orderd this on monday, deliverd at my door in belgium on friday... thats 5 days... It can't get better than this. I recomend this!!! Hello, my name is Francisco Jose Diaz and I am Spanish.I bought this camera and I received 6 days in perfect condition. The digital camera comes with everything you say on the website, they have a great support and will not be the last time they purchased in chinavasion. Best regards and thanks for everything.